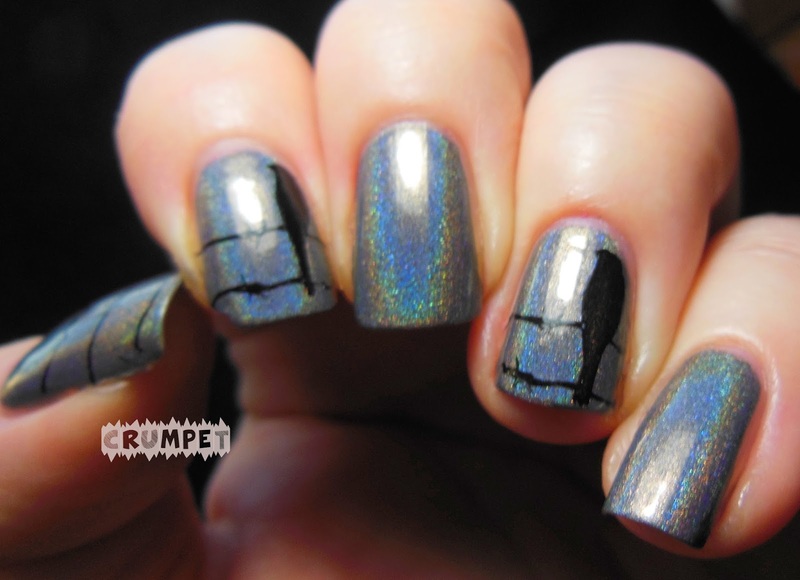 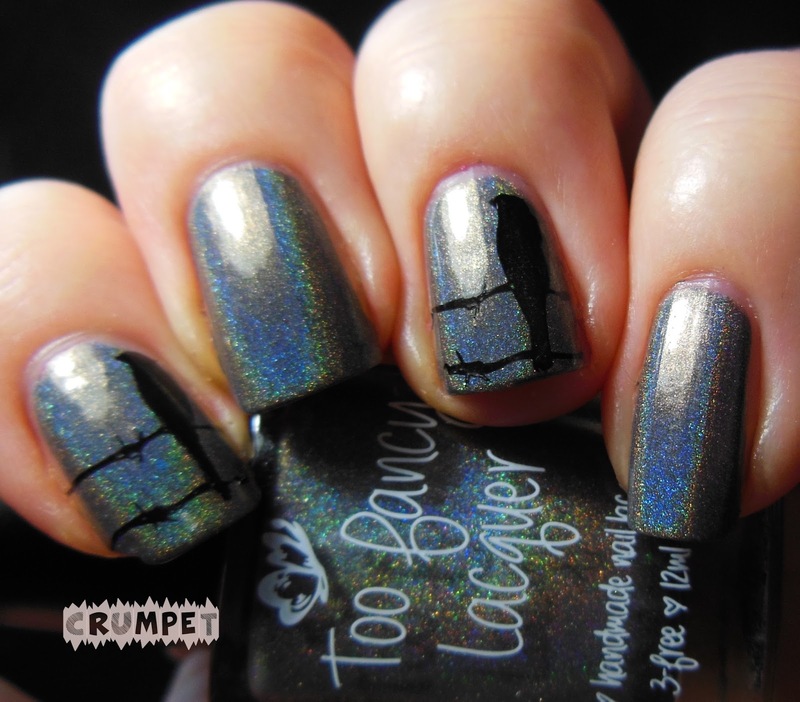 We end Vault Week with another mani that wasn't quite what I wanted it to be. 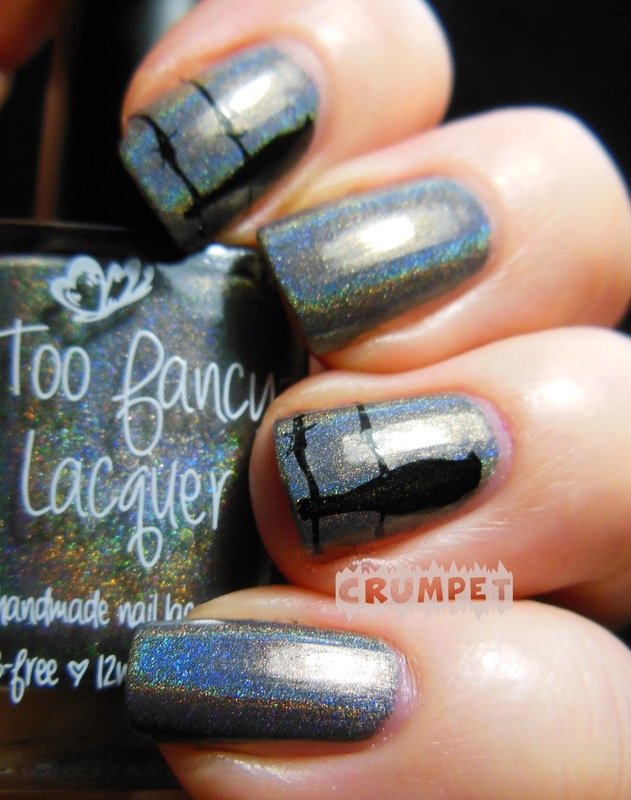 This features Too Fancy Lacquer Silent Night on base, a lovely murky, slightly undefinable holo. 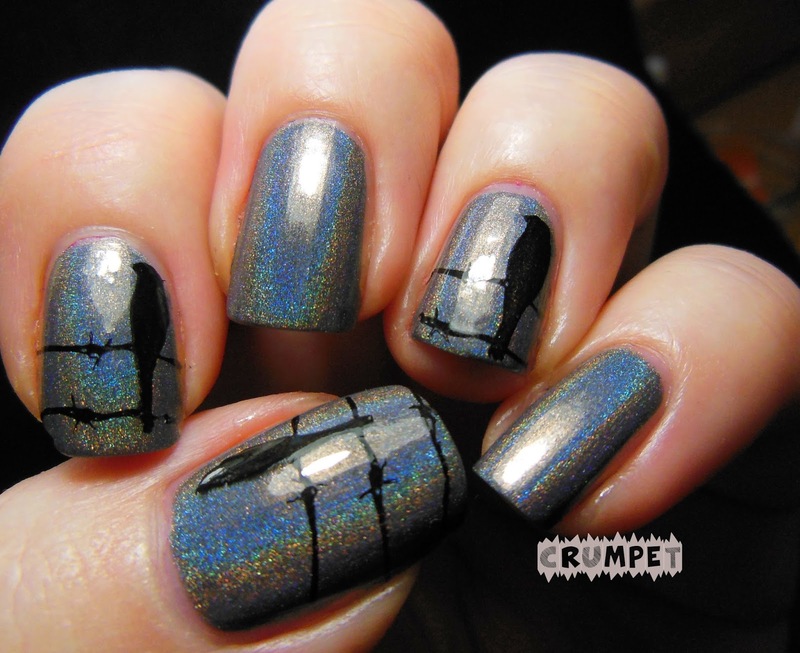 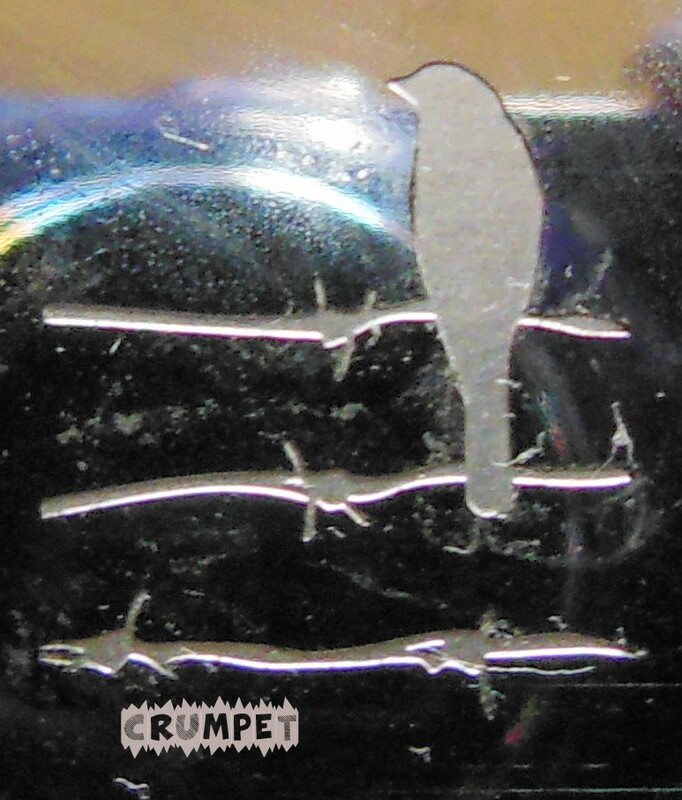 I had seen a lot of people do cool manis with these birds on a wire so I pulled out my MoYou Pro 07 plate, and addedmy birdies in black.